Over the last 25 years, TAUNY folklorists have documented musicians, woodsmen, river guides, boat builders, maple sugar producers, and many more traditional arts and occupations of our region. This year, we are turning to dairy farming. 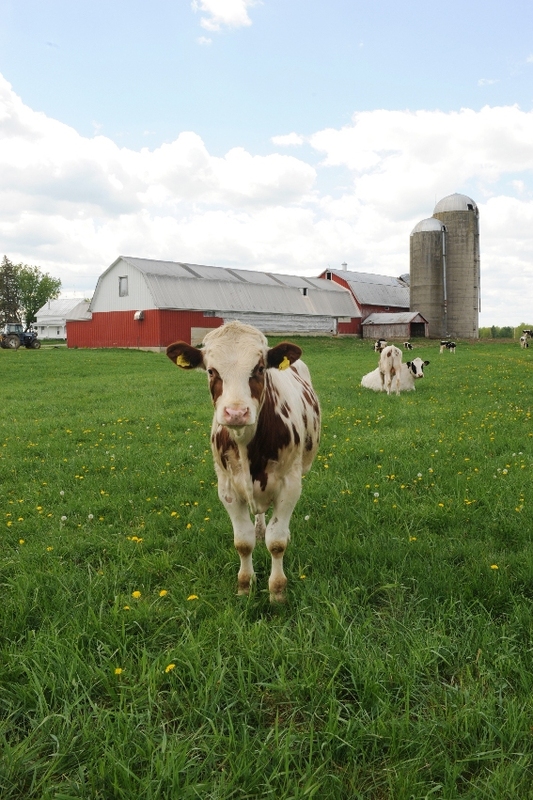 Given the vital importance of dairy farming to the North Country’s culture and identity and to its economy, we feel that farmers’ stories are underrepresented in our archival collection and in our public programming. For this reason, we applied for and received a prestigious grant from the American Folklife Center at the Library of Congress to document the working lives and stories of North Country dairy farmers. The grant program is part of the LOC’s ongoing effort to document the many work cultures of the United States. All the materials produced from our research will be archived at the Library of Congress and at The TAUNY Center. 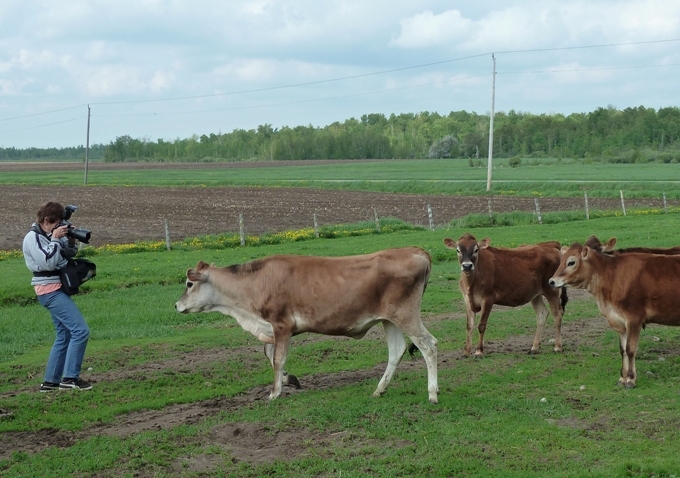 Dairy Farm Workers in Northern New York will document—in recorded interviews and photographs—the working lives of North Country dairy farmers and farm workers, focusing on St. Lawrence, Lewis, Franklin, and Jefferson Counties. We are focusing on 14 farms of varying size, interviewing multiple workers on each of these farms. In particular, we are interested in the changing nature of farm work with ongoing changes in technology and economic pressures, including the changing workforce, changing roles of farm workers, and women’s roles. We have spoken with farmers who employ immigrant labor about those relationships and the decisions and challenges involved in employing immigrant workers. We also have spoken with Hispanic workers to ensure that their stories are included in this documentation. Our methods are grounded in the discipline of folklore, and our research is being carried out by the three folklorists on TAUNY’s staff, Harvester, executive director Jill Breit, and founder/special projects director Varick Chittenden. Recorded interviews have been conducted one-on-one and with multiple family members or farm workers. The folklorists took farm tours when possible, and documentary photographer Martha Cooper visited for a week of photographing. Using the materials we collect, along with additional research, we will create a website unit about North Country dairy farming. This unit will be designed to educate the public on the work of dairy farming, farmers’ stories, what it takes to be a successful farmer, and life on the farm. Funding from the Library of Congress’ American Folklife Center is granted through and Archie Green Fellowship. Learn more here - www.loc.gov/folklife/grants.html.